HRH Prince Sixte-Henry Hugues François Xavier de Bourbon-Parme was born on 22 July 1940 at Pau, Béarn, France, as the second son of Prince François-Xavier Charles Marie Anne Joseph de Bourbon-Parme, Duke of Parma, and his consort Princess Marie Madeleine Yvonne, née de Bourbon-Busset, Countess of Lignières. 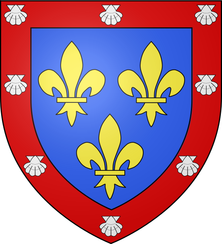 In the paternal line, Prince Sixte-Henry is descended from Hugues Capet, King of France in 987 and progenitor of the Royal House of Bourbon. 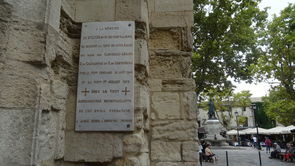 He is, therefore, descended from King Louis VII who, on his return in 1149 from the Holy Land, introduced the Order of Saint Lazarus of Jerusalem to France and in 1154 endowed it with the Château de Boigny; and from Saint Louis IX who, on his return from the Holy Land in 1254, brought the Master of the Hospital of Saint Lazarus of Jerusalem to France and installed him at Boigny. Thereafter, Boigny was to remain the magistral seat of the Order until confiscated by the Revolution in 1791. The dynasty of Bourbon-Parma is a cadet branch of the Spanish House of Bourbon, originating from the marriage of King Felipe V and his consort Queen Elisabetta Farnese, daughter and heir to the last Duke of Parma. The principal arms of the House of Bourbon-Parma are those of France, differenced by a bordure Gules with eight pilgrim shells Argent. The maternal line of Prince Sixte-Henry, although not considered ‘dynastic’, is held to be the senior still existing male Capetian line. 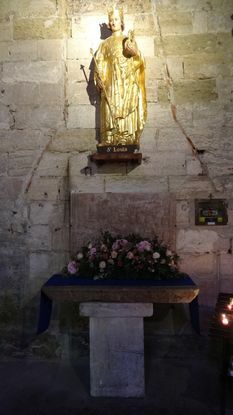 It emanates from a union between Louis de Bourbon (1437-1482), prince-bishop of Liège, and Catherine d’Egmont de Gueldres. The arms of the House of Bourbon-Busset are those of France, differenced by a baton Gules and placed under a chief of the arms of the Latin Kingdom of Jerusalem. Prince Sixte-Henry is related to most of the Catholic sovereign and princely houses. Empress Zita of Austria, Queen consort of Hungary and Bohemia, was his aunt. 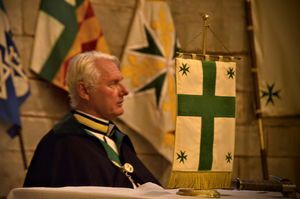 In common with many royal ancestors, he holds the Grand Cross of the Sacred Military Constantinian Order of Saint George. Having completed his law degree at Clermont-Ferrand, Prince Sixte-Henry joined the Spanish Foreign Legion and later the Portuguese army where he received high-level military formation. 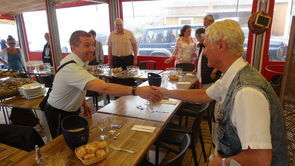 He served with distinction in Angola and ended his military career with the rank of full colonel. Prince Sixte-Henry succeeded his father as champion for the Carlists in Spain but General Franco’s choice of Don Juan Carlos as king and difficulties with his brother, Prince Carlos-Hugo, put an end to his official involvement with the cause. For several years, Prince Sixte-Henry lived in Argentina, where he devoted himself to the agricultural exploitation of a substantial estate and to cattle breeding. His fortitude of character allows him to overcome the limitations of mobility imposed by a severe physical trauma he experienced there. 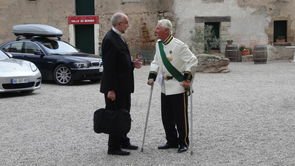 Prince Sixte-Henry has always demonstrated a firm commitment to traditional Christian values and to the Mass of St Pius V. His presence at all major celebrations to commemorate certain tragic events in the history of France – especially in connection with the bicentenary of the Revolution, the regicides of Louis XVI and Marie-Antoinette and the assassination of Madame Élisabeth – together with his voicing of well-informed opinions on important matters, testify to his interpretation of the role of a Capetian prince in our time. Prince Sixte-Henry’s political interest is manifest in his participation in conferences and symposia related to history and geopolitical issues, in France as well as abroad. Over a long period of time, the Prince has established an important network among politically active people in France, Russia and the Middle East (Iran, Iraq, Libya and Syria) and he is internationally recognised as an experienced counsellor on geopolitical conflicts. 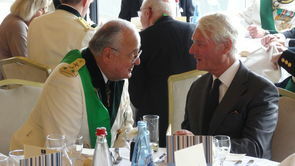 Having actively supported the Order of Saint Lazarus of Jerusalem since 2004, the Prince accepted appointment as Grand Prior of France. On 6 January 2015 the Grand Magistry elected him as Administrator General. 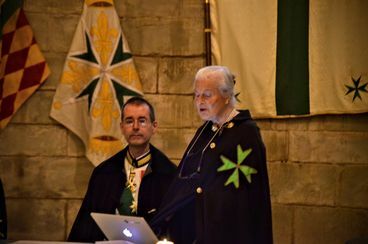 On 10 September 2015 the Chapter General of knights, dames and senior chaplains unanimously elected His Royal Highness as the 50th Grand Master to lead the international Order and the first to be installed at its magistral seat in Jerusalem in over eight centuries.